Good morning parents and players! The annual golf fundraiser that was held on October 15th was a great success! Thank you to all of the volunteers who donated, supported and came out to help. Your support was greatly appreciated! Tis the season! We are on to the poinsettia and amaryllis sales. I have attached the UPDATED plant form. I just noticed last night the pricing on the AMARYLLIS should be $20 not $12. I am sorry for this error. Please find attached the poinsettia and amaryllis pre-orders forms. In an effort not to overwhelm you guys with paragraphs of information, I am going to bullet point some pertinent information. 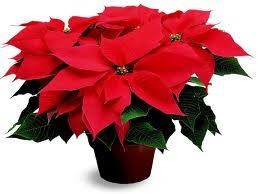 · The poinsettia’s will come in 6 ½” and 10” size pot and they will ONLY be RED. The Amaryllis will be come in 6 ½” and come ONLY in RED . They all come with sleeves. · I have to place the order with Coweta Greenhouse on Wednesday November 22nd. · Orders and money can be taken to ANY of the baseball coaches from now until Friday, November 17th. · Pick up for flower orders will be on Thursday, November 30th in the bus lanes at East Coweta High School. Pick up times will be from 5:30 – 7:00. If you have a large order and need them delivered, I can arrange that for you. All players are encouraged to stay after school to help unload the truck and fill orders on that day. The flowers are florist quality plants as they come from Coweta Greenhouses who supply many local florists. They are so pretty! Please encourage your son to visit local businesses for sales. Doctor offices, churches and restaurants are just a few of the many businesses to inquire and 99% of them have supported East Coweta in the past and enjoy doing so. The flowers are great hostess gifts for holiday parties or lovely “just because” gifts for a special neighbor during the holidays. I will be have updates and reminders going forward. Please feel free to email me, call me or text me (678-633-1319) if you have any further questions. Again I am sorry for the error on pricing for the AMARYLLIS. Orders forms located under Documents.